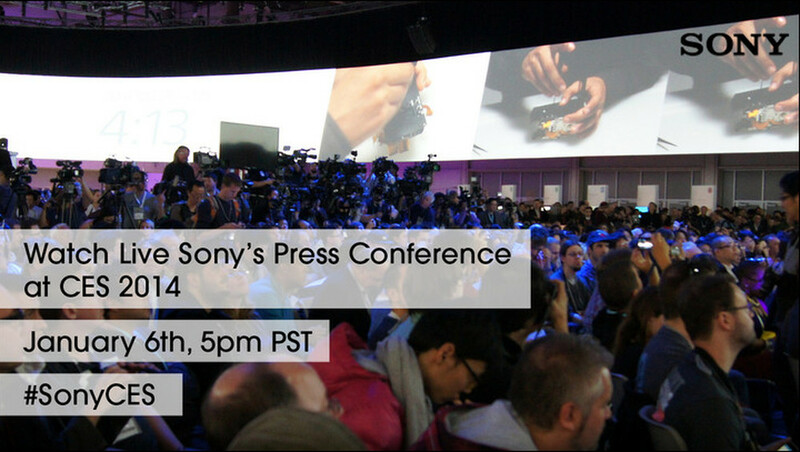 Sony will finish off the official press day at CES 2014 with a live event at their booth at the convention center. Like Samsung and LG, we will more than likely see all sorts of TV news with a sprinkling of Android. We could see a new Xperia Z1 variant or maybe even a tablet. If we do, we’ll be sure to get our hands on them for you all to see at some point this week. If they do announce something Android-related, here’s to hoping they actually make it to States before they are six months old. The last dozen or so Sony devices all seem to make their way to Europe and international markets months and months before a U.S. carrier picks them up. It’s unfortunate, especially since Sony seems to make decent devices. We won’t be in attendance at this event since we have other activities in the works. We should have our hands on all sorts of gadgets tonight, with videos flowing in regularly as our batteries and connections allow. Stick with us after Sony’s event! They appear to be live streaming the event, so you can watch along below.